• The tip pool rule that barred certain employers from setting up tip-pooling arrangements under which tipped employees can share tips with their non-tipped colleagues was repealed on March 23, 2018, when Congress passed the federal budget. • Moving forward, tip pooling is permitted so long as supervisors, managers or owners are not included in the tip pool. • An employer may not keep tips received by their employees for any purpose. • We anticipate the U.S. Department of Labor will provide more clarity on the amendments to the Fair Labor Standards Act in the next several months. In the meantime, this document provides an overview of best practices. Tips: Any gratuitous, voluntary payment made by a customer to an employee. This includes cash tips, credit or debit card tips or tips by check. Service charge: The industry has many different names for a non-voluntary payment made by a customer to employees (i.e. service charge, service fee, mandatory gratuity, etc.). Whenever such a payment is a requirement, or could reasonably be interpreted as a requirement of customer payment, it is no longer a tip. See more about service charges here. Tip pooling: Tip pooling means any time a customarily and regularly tipped employee (server, bartender, valet, etc.) contributes their tips to a pool to be shared with customarily non-tipped employees (dishwashers, bussers, cooks, etc.). The industry has many different names for tip pooling (tip out, tip share, team pool, tip 2 percent to back of the house, etc.). Voluntary tip pooling: A house policy that all the employees (except owners, managers and supervisors) voluntarily participate in. For voluntary tip pools, employees may have asked the employer to help facilitate this model. Keep in mind that employers have a high burden of proof in demonstrating the tip pool policy was truly voluntary. Many employers have been unsuccessful in arguing this case. Mandatory tip pooling: A mandatory, employer-imposed policy that has been established by ownership and/or management. 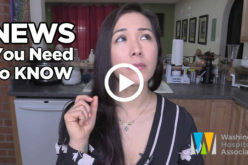 It is required for tipped employees to participate in the tip pool, thereby sharing their tips (or a percentage of tips) with non-tipped employees who are not owners, managers or supervisors. Manager, supervisor: Who is a “supervisor” or a “manager?” Here is what we know for certain: An owner cannot benefit from a mandatory tip pool. A manager or supervisor who is exempt cannot benefit from a mandatory tip pool. Those who are exempt from the definition of employee under Washington state law may not be part of a mandatory tip pool. 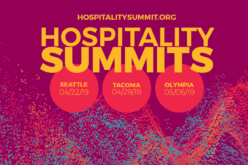 Check out the eligibility of other supervisors and managers by connecting with an expert in the Washington Hospitality Association Advisory Network or consulting your attorney. Once you have determined the best tipping policy for your operation, get your lawyer’s blessing to ensure you are legal, communicate with your team members to get feedback and employee buy-in and put it in your employee manual. Define what a tip pool is, who will participate and its requirements. Confirm any tip out ensures employees never earn less than minimum wage in a shift. Make it clear to employees how the reporting of tips to the IRS will work. Remind employees you are not giving them tax advice and to speak to a tax professional if they have questions. Once you have created a tip pooling policy, have employees sign an acknowledgment form that confirms they have been educated of the reporting requirements. Consider holding an all-employee meeting where you discuss tip pooling and answer employee questions, with a sign-in sheet to document which employees attended. Reiterate that owners and managers cannot participate in the tip pool. Ask for feedback from your employees and commit to reviewing the new policy in the coming months. Record tips. The IRS requires most employees and employers to keep a record of their tips. Ensure any employees receiving tips are aware of their responsibility in claiming them. For IRS tip reporting requirements, click here. Define a percentage. Whether you are using a tip pool or tipping out system, define a percentage to allocate tips among participants in a fair and reasonable manner. For tipping out, a policy may be 1 to 5 percent of sales per shift. The association is not suggesting an industry standard. For tip pooling, any percentage of each server’s tips may be put into the pool to be divided up and distributed among the employees (not including owners, managers or supervisors). As a best practice, 20 to 100 percent of tips are pooled. Confirm any tip out ensures employees never earn less than minimum wage in a shift. The divided tips can be distributed based on a point system, hours worked, sales, role or other ways. Employee buy-in is critical. Reiterate why tip pooling is a good idea and how it helps both employees and the company (e.g. “We need to tip out the kitchen because they are invaluable to providing our high level of customer service”). No owners or managers. Tip pools may include back-of-house employees anywhere in the chain of service to guests, including dishwashers, line cooks and others, except for management. Keep your eyes and ears open for ideas. There is not one right way to implement a tip pooling policy. Listen to your employees and your colleagues about their experiences with tip pooling. Keeping an open mind will allow you to work toward a policy that keeps your employees happy and serves the interests of your company. Check the association’s website regularly. It will highlight new ideas as they emerge from the field. The association can help. Please call 360-956-7279 ext. 124 with your questions. 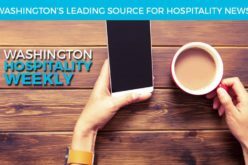 Washington Hospitality Association members are also eligible for a free, initial consultation with an attorney on this or other legal issues. Click the image below to download and print this guide.